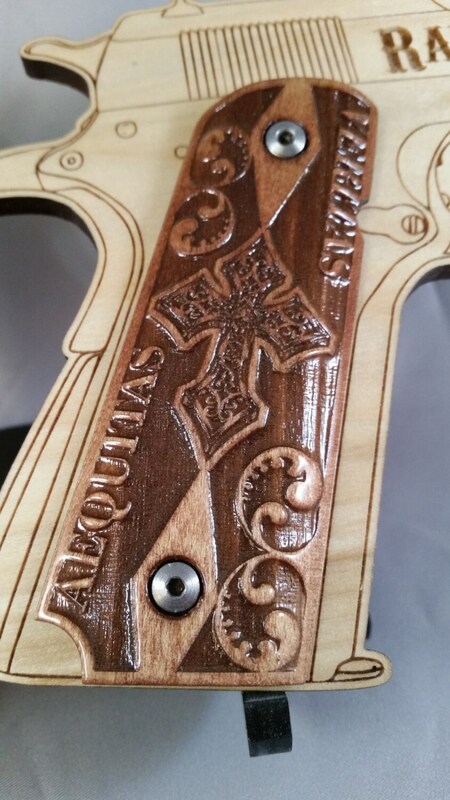 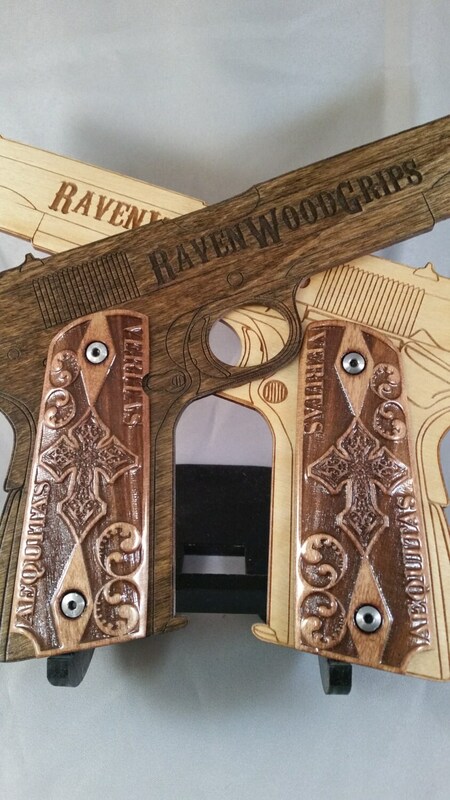 These 1911 grip panels are made with poplar and have been laser engraved with the Aequitas Veritas and a highly stylized Celtic Cross from the Boondock Saints on each panel. 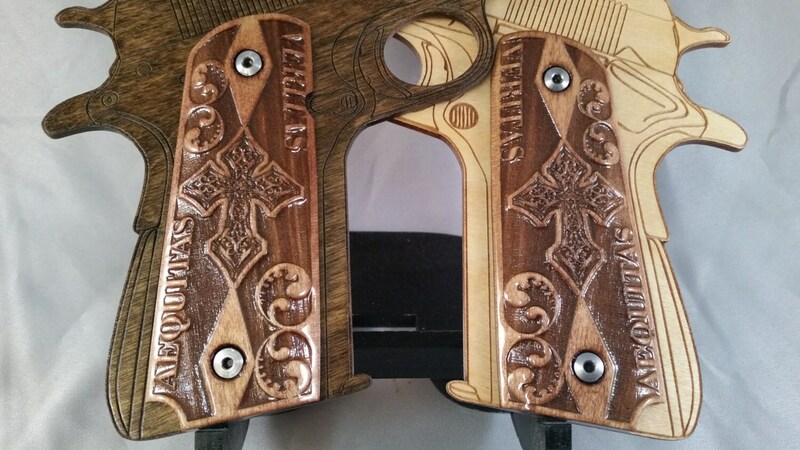 The ones in the pictures are shown with the GUNSTOCK finish, but you can choose any from the listing (if you would like, send me a message, and I can show you all the different finishes.) 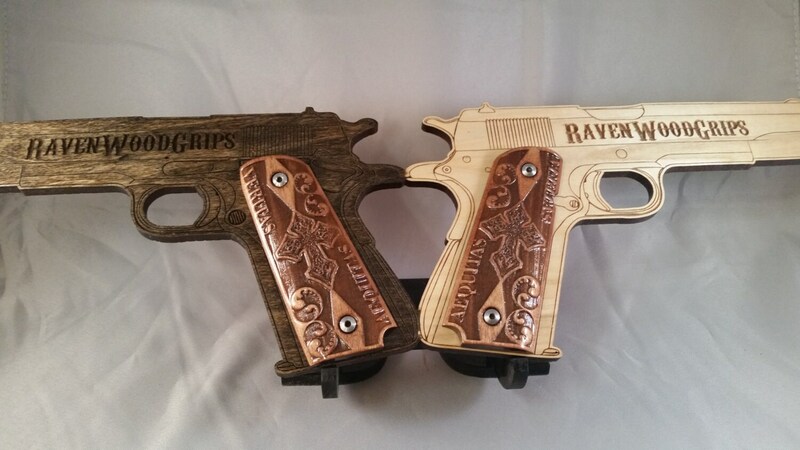 These are custom shaped, and hand sanded to a glassy smooth shine, and completed by applying 5 coats of lacquer for a long lasting and super durable finish.